How may stars are you allowed to give? I loved this book. I began doing reviews for a couple of different publishers for a couple of reasons. One free reading! LOL. And #2 to stretch. To read books that I wouldn't normally read. This is one I probably wouldn't have picked up. I am not a fan of historical romances. Are you? Well give Sarah a chance! And give the Wings of Glory series a chance. A Distant Melody is the first book in the series. Yea I finally started one in the beginning! But don't worry because it is stand alone. And I am sure the others will be too. I was immediately drawn in. I usually get my books late because they have to be mailed to our office and so sometimes I am having to make time to read to get them done for a blog tour. There wasn't a problem with A Distant Melody I picked it up and couldn't put it down! I was caught up in the characters. Although Walt and Allie the main characters were separated by war Sarah did a great job of keeping you interested in each. I didn't catch myself wondering well heck what is going with Allie. I get frustrated with books with chapter after chapter of one character and then back to another one. (read my last review) This book wasn't like that. It was easy to keep up with main characters and all the sub characters. It's another one where you want to read the next book to see what is going on with Walt's brother or with Allie's friends. I even wondered what happened with Allie's parents and her inheritance. Another thing that I really like was the way that Sarah included Allie and Walt's faith. It wasn't just thrown in a few sentences here and a few sentences there so that the book could be considered an inspirational romance. I won't spoil the story but I was pleasantly surprised. You felt like Allie and Walt really lived out their faith and it was encouraging. I checked out Sarah's website and she had a link to her blog. Here's her blog post for today. I thought this was really interesting. Here's the link to her website. http://www.sarahsundin.com/index.html Check it out. I would recommend this book for any age from teen to adult. It is easy to read and the print is easy to read. Although it is long 415 pages it was easy to get into and stay with. And, there are discussion questions at the end also so it could be great for a reading group or even for a mother daughter to read together! This book was provided to me by review by LitFUSE Publicity Group. Their little button is over on my sidebar. By the way I am giving away all of the books that I review so check out the Book Review tab. $5,000 GoodSearch Giveaway!! GoodSearch is giving away $5,000 between April 6th at 9am EST and April 9th at 9am EST! We will donate $1 for each toolbar that is downloaded during that time period. You can help our minsitry simply by using Good Search. Go to http://www.automission.org/ and check out what we do. Then on the 6th go back and sign up clicking on the Good Search button. Each time you use Good Search we can get 1 cent. But it adds up fast if you search a lot like I do! And, there are a ton of stores that will also give a % stores like Gap, Old Navy, Crate and Barrell and even Ebay. Hello that is like free money you shop and you help a charity. Do you have a charity you support? Tell them about Good Search. If not sign up to help us out! I heard this song this morning. It was a word from God to me. I needed to hear these words. It begins with one of my favorite verses . . . Seek first the kingdom of God. It is a little hard to understand the words so I looked them up. Enjoy. I am ready. Ready for a miracle. 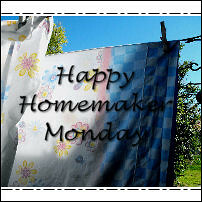 I am joining Sandra again for Happy Homemaker Monday....blogger isn't loading my photo's right now. Hopefully I can add them later. The weather in my neck of the woods: It is Spring finally! I think maybe 60 already. All I know is I don't need a coat! Yea. Book I'm reading: Just finished Bequiled by Deeanne Gist and J. Mark Bertrand. Reading a childrens book. And waiting for my next book in the mail. What I'm enjoying on TV: when the grandbaby is here on Mon. it is PBS till 1:00 then change to Nick Jr. The rest of the time I usually listen to the Christian C.D. package. At night it is usually HG.TV. I love house hunters. On food channel I love chopped. They sure do show a lot of reruns though! On my To Do List: The normal house routine. Fixin' to take the sheets of the bed. Sweep and mop the floor. New Recipe tried or want to try soon: I tried corn bread off the Aunt Jemima bag of complete mix. It was great in an iron skillet. Really using my iron for alot more now. This isn't a recipe I want to try but I sure would like to cook some okra in that skillet. Can't wait for some fresh okra! In the craft basket: A quick and easy quilt top I am finishing to show Wed. at a training session for a class I am starting for our halfway house girls. Looking forward to this week: Lunch on Wed. with my mom, my daughter and Cowboy. It is our daughters birthday. Tips and Tricks:Paper plates. The really cheap kind I use to drain french fries, as a spoon rest, a cutting board in a jam, to stage cut veggies. They are handy when you cook meals that have lots of ingredients or use lots of utensils. Saves dishwashing! My favorite blog post this week: Tracy's newest post. It was a great tutorial. 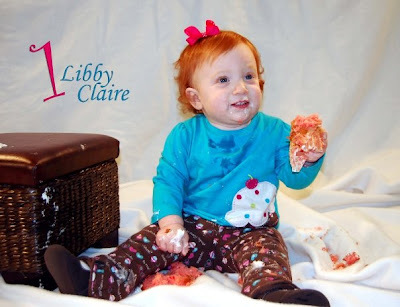 She also is having a party tomorrow at her blog. Here's her photo button. It explains it all. Go and join her! 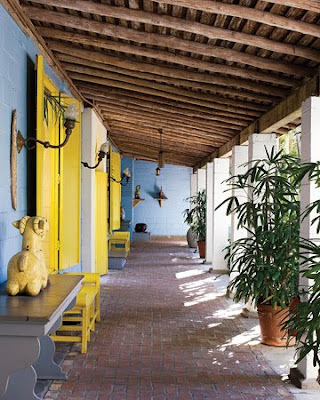 Blog Hopping: I found this over at one of my favorite stops Desert Cottage. Karen Valentine is the wonderful writer here. She recently made a job change and started to design blogs you have to go and check over here and check out her work! Oh she designed the new 'Email me' button on my sidebar. It is one of her freebie's. I am always discovering new blogs and I put my fav's on the sidebar. Check them out. Lesson learned the past few days: To think about what I do between the Sundays. Already blew it. On my mind: The sewing classes beginning next Friday and the details of moving. Psalm 13 these verses describe my feelings right now. I am leaning on these words . . . Welcome to Then Sings My Soul hosted by Amy. This is the day that wonderful Praise in music is posted all over. Go over and visit Amy for links. Today I am sharing a song I am sure many of you have heard. And I am sure it is one you love. But a found a version that I have never heard. I hope you enjoy. Between The Sundays. It shares with the boys about Christ's Journey to Cross and what he did for us. Then we will present to them the concept of "What are you doing between the Sundays." As I think about this it is a great topic for all of us. Not just young men in a prison facility. Some weeks I am high on following God's will. Some weeks I am whinney and thinking more of myself. Some weeks I am depressed that things aren't happening as quickly as I would want. And some weeks I am just flat too busy to think about anything. I have to ask myself the question. "What am I doing between the Sundays? I would love to do this Thankful Thursday in photo's but alas I have none taken! So here is my list. #1 I am thankful for Christ's Haven in Keller,Texas it is a wonderful children's home and also the new home of our horse. We went to see him yesterday and he is happier than he has been in awhile. Her prefers children to old people! LOL. #2 I am thankful for Spring time. I think it is my favorite time of year. I love the spring evenings being able to sit outside at dusk is a favorite past time. #3 This one is probably silly but another reason I am thankful for the weather is that it is nice and the cat wants to stay outside! Hold on I have to go and let him in! The reason I like him to be outside. He manages to get in bed with us in the middle of the night. And, wants to sleep on my feet. That's it that is my list today. Oh I could write many, many more things but I won't make this a long post so you can stop and take the time to make your own list. If I can find a Mr. Linky somewhere I'll join in. I seem to have a hard time keeping up with them!
" Anyone who does not carry his cross and follow me cannot be my disciple." Luke 14:27. I thought this was a great verse to follow my book review post yesterday. Jesus really offers us no option. It isn't his desire for us to fit God's mission into our own priorities. Being a Christ follower should be an act in breaking out of our comfort zone . Something like getting out of the comfortable pew and meeting God where he is working and abandoning ourself to Christ. As I think of this verse I realize that the book Start Here isn't really only for teens if your interested in reading it I have a giveway copy. So leave a comment and I'll enter you! You can go here to read the book review. 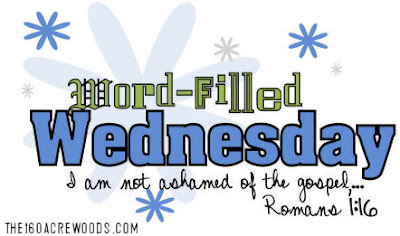 Wordfilled Wednesday was created by Amy. The hostess today is Susan go over and join or check out the other great illustrations of God's word. I have a give a way copy of this book! Send me an email if you want it. I just read a great book for teens and thier parents. This is the second book that the Harris brothers have written. I did not have the pleasure to read the first book and I would definately recommending getting it for your youth first. It is also great reading for a youth group or for a church library or a youth instructor or leader or anyone working with youth. This book Start Here piggy backs on the concepts that are introduced in the first book. Do Hard Things inspired young people around the world to make the most of their teen years. The second book was inspired by questions asked by young people after reading the first book. Questions like: How do I get started? What do I do when I get discouraged? All these questions and more are answered in Start Here. This is a small book only 137 pages of text. It also includes discussion questions. And a section on Notes that discribes about some of the projects mentioned in the book. This is an easy to read book. It includes inspiring short stories of how other youth have stepped out, stepped up and began serving God. Here is a summary and background info. from the publisher. Due to new Federal Trade Commission requires the following disclaimer. High res cover art also provided by the publisher. Leave a comment to be entered in the give a way! 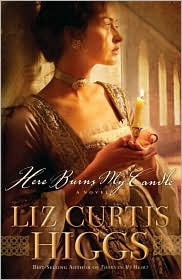 The newest book by Liz Curtis Higgs was provided for me by Waterbrook Press and Random House. This book was provided for a tour this week. I honestly have to say that I had difficulty with this book. Because of the tour I am on a dedaline to write the review. I don't think it would be fair to the book and the author to write the review now. Honestly I was only able to get through the first 9 chapters. I will say part of the difficulty for me was the print is small and it is a long book. It seemed daunting. I am not really a fan of historical romances. Part of the reason that I began doing these reveiws is to have the opportunity to read something I wouldn't normally read like historical romances, fantasy, and others. This has been a new Journey for me that I am really enjoying. I hope that you will take the time to visit the other reviews this week and there is a trailer over at youtube.com also. Here Burns My Candle. Liz Curtis Higgs. 2010. March 2010. WaterBrook Multnomah. 480 pages. Today I am going back over to join Sandra because I just love the idea of being a Happy Homemaker. Come along and join. The weather in my neck of the woods: If the weather man is correct Spring for the next few days. 70's this afternoon. Things that make me happy: Todays forcast! Book I'm reading: A review book that honestly I am not enjoying. Fixing to start reading another I have a bunch of reviews to do in the next couple of weeks! On the menu for dinner: Beef! Took a huge piece of sirloin out of freezer Cowboy is going to cut some into steaks for tonight then I'll be cooking stew and maybe beef tips for later in the week. Not my favorite meal but he likes it. On my To Do List: Prepare for sewing class and Learning 4 Life starting soon with the girls I work with. And packing, packing and more packing. We will be signing our lease in the next couple of days when they get it all written. We hope to move by mid April if they can get into thier new place. Otherwise it will be May. I am shooting for April! New Recipe I tried or want to try soon: Crockpot meals...I need to visit Sandra's food blog. I need some crockpot ideas for Mondays when the grandbaby is here and for Sundays. In the craft basket: Sadly my little craft basket and my sewing is packed in boxes! Looking forward to this week: Our horse and donkeys going to a new home and getting settled in. One huge worry taken care of! Tips and Tricks: Mr. Clean Eraser (or store brand) love these. They work great on the stove if you have grease built up around the edges of the burners where it is hard to reach. 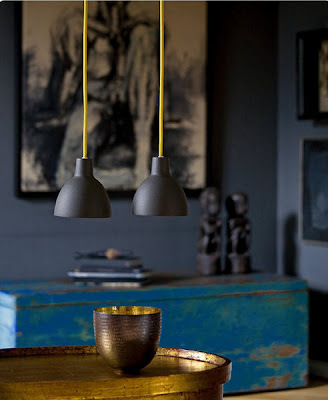 My favorite blog post this week: All of these . . . I loved all the Spring animal posts! Blog Hopping : I have a new favorite place to visit. You have to go over and visit Beth some of her posts crack me up. Some inspire. Some are really fun. She is having a party starting next week. Here's her cute button. Go here to check it out. No words needed my favorite photo . . . Lesson learned the past few days: I was reminded that God's ways are not ours. There are times when it seems your prayers are unanswered but they really are. His timing can be much different than ours. Praise God. I borrowed these from Sandra our hostess today because they were just perfect for me today. Today I wanted to invite you to visit my friend Traci over at her blog. Here's her cute logo. Click here to get there easy peasy. I have been visiting Traci for a while. Yesterday when I went by I saw she had a giveway. To enter you only have to leave a comment but if you want another chance you can either put a link on your sidebar or write a post. Since I wanted to share what I want to have if I win. I wanted to write a post so I could show you this . . . The Welcome graphic from Leenthegraphicsqueen.com . I just love this. I hope I win it would look so great on my new front foor wherever it is. LOL. We have found a house but there are lots of details to work out. One being I need to raise some money so I have a couple of ideas. Besides my ebay and etsy store I am going to start selling our cookbooks here on the blog. I am looking for a couple of people to review so if your interested in receiving 2 free cookbooks (one to keep one to give away) just leave me a comment with your email. 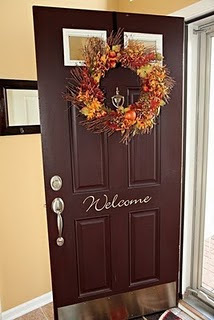 The other thing is and I got some advice from Traci on this is to sell some ad space here on the blog and over at My Home Sanctuary too. I'll need a little help I think setting it up I am still pretty much a dummy at blogging. Of course anyone wanting to purchase add space will want it easy to use, pretty and easy to find so I will be changing my layout a little, pretting it up and making it more clean I think is the word. So if your interested in advertising email me! Don't forget if you want to review let me know. Don't forget to go by Traci's. Are you thankful for something this morning? Are you thankful for a lot of things? Today I have to go with the list of miracles and Blessings God has given me. #1 I am thankful for our vet. Dr. L. Tuesday we had an episode with our horse that is 22. We had never seen anything like this in our over 20 years of having horses. Even though it was new to us it was routine of course to an experienced vet. It was an emergency and Dr. L. put asside his schedule to come to our rescue. When I called him and explained the situation I told him that we could not afford to treat the horse. We have known this vet for 8 years. I told him that if the horse needed to be put down that we couldn't pay him for it today. It costs $75.00 just for the vet to walk onto the property; plus whatever else he has to do. He treated our horse and didn't charge us a dime. Thank you God for Dr. L.
I know that you care about what we care about. I know that every creature is important to you. I thank you for Pal and his sweet nature. I thank you for all the years he has been a pet to us. And I pray that you will direct us to find him a loving home. Thank you God for Matt. He is a great person. You know that I have prayed many prayers for him. I thank you today that he was willing to go out of his way for us and for Pal. Bless him. Bless his family. And, Bless his business. #2 I am thankful for our friend and brother in Christ Ron. We met Ron about 7 years ago when his son was assigned to our ministry. A few months after his son finished his assignment Ron made a donation to us and we have been in connection ever since. He is now on our board of directors and is our main fundraiser. He is working with corporate sponsors and his church on our behalf. With thier help and God's grace we will be moving soon. Thank you God for Ron and his heart to be your servant. Thank you for his years of support. Thank you for his birthday tomorrow and his dedication to the ministry. Thank you for his family and his church. Thank you that he is not afraid to step outside normal boundaries and meet you where you are working. #3 I am thankful that God is patient with me. He knows all my needs. He knows all my faults. I am thankful that he forgives me even though I keep messing up. I am thankful that all I have to do is ask. I am thankful that he listens even when I know I don't deserve his grace. When I keep saying the same things over and over. Telling him my needs and asking his forgiveness for those things I keep messing up on again and again. Thank you God for your grace. Thank you God for your patience. The Toby Mac song just went through my mind...Father God I am clay in your hands. I want to be what you want me to be. I don't want to do this or that to conform to what the world thinks. I want to be like Ron and step outside the boundaries if I need to and meet you where you are. Where you are taking the ministry. I want to do what you want me to do. Thank you God for allowing me to be your child. Here are part of the words to that song that popped into my head. Father God, I am clay in your hands, Help me to stay that way through all life's demands, 'Cause they chip and they nag and they pull at me, And every little thing I make up my mind to be, Like I'm gonna be a daddy whose in the mix, And I'm gonna be a husband who stays legit, And I pray that I'm an artist who rises above, The road that is wide and filled with self love, Everything that I see draws me, Though it's only in You that I can truly see that its a feast for the eyes . . . I don't want to gain the whole world, and lose my soul, Don't wanna walk away, let me hear the people say. I don't want to gain the whole world, and lose my soul, Don't wanna walk away, let me hear the people say. Wishing you Blessings on your Journey today. Thanks for stopping in. And you can run over to Laurie's for more thankful posts. I know that I am the mom and of course she is beautiful to me but I just had to share this one. This was taken when the three of us went to eat mexican food one Saturday. I was posting some photo's of the baby on his blog so I thought I would share this one of them. They are always in my prayers. Father God thank you for my beautiful daughter. She is pure sunshine to me. Thank you for my dear sweet grandson that is sitting in my lap right now. Thank you that I am able to see them every week and that Zane gets to come and play. Thank you that she is a loving and beautiful mommy, wife and daughter. When a House is not a house . . .
I/we are trying really hard not to get ahead of God and his plans for us and the ministry. We are so excited about this opportunity. We are depending on God to show us the way to make all this happen. The living quarters are beautiful. We both said we do not deserve anything this nice! It is like something you see on t.v. I have been spending the last few days looking at photo's to get inspiration and trying to figure out what furniture we have that will fit in. 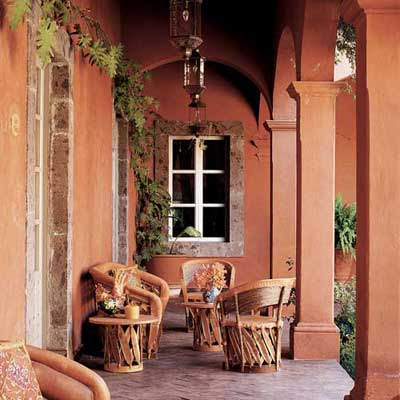 Here are some inspiration photo's for the front porch patio . . . I was looking for color choices to paint my rocking chairs. We have these chairs and a round table dining table. The green here is just about the same color as the kitchen cabinets. The porch opens right into the kitchen. I think this is just about the color of blue. And below is just about the yellow. I am thinking a really dark terra cotta and maybe a purple also. 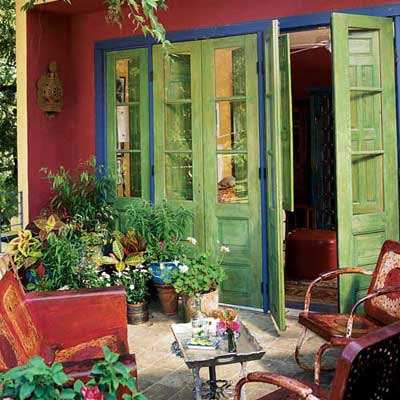 And here is a photo of the porch . . . The table will go over on the side where the grill is now. And then the rockers in all thier new colors will go in front of the windows on the right where the topiaries are. It isn't a huge house. But we love it and it is a great place to entertain. There is a huge side yard and I will be able to have a garden and maybe a couple of chickens if I can get Cowboy to build the chicken coop. Which BTW I found an inspiration photo! I'll share that another time. Some of you have been praying for us please continue to lift us up as we work with our board and our funders to work out the details for our living arrangements and the ministry. Thanks for your sweet comments and support. Outside my window. . . overcast looks like rain. The cat stayed out last night! And he is looking in the window now. I am thinking. . .about my day and wondering how things with our house hunt will turn out. I am thankful for. . .that God is good and supplies. We had amazing affirmation this weekend on some points. 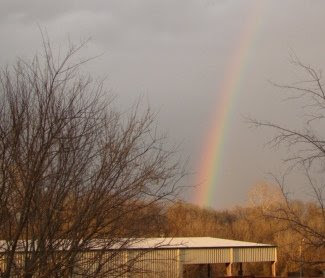 Did you see the rainbow on my Thursday and Friday posts? From the learning rooms. . . Peggy added if this applies she meant this for homeschooling moms but I think it applies to all of us . . . I am learning/experiencing God's faithfulness and I am learning to have faith. From the kitchen. . . no menu yet this week but I am trying to clean out the freezer before we move I need ideas for chicken I have an abundance. Any ideas? I am wearing. . . jeans and old Gap henley and a sweater and socks it's still a little chilly this morning. I am creating. . . Habits. I am working really hard on doing better at keeping the house. I swept and mopped the kitchen floor twice over the weekend. It really is really simple to do it just before bedtime. I am going. . . no where today. Baby will be here today,Wed and Fri. because it spring break. I am hoping. . . that we don't get ahead of God. I am hearing . . . my dog chewing on a bone! Around the house . . . more packing, organzing and figuring out what is not going to the new house. One of my favorite things. . . sitting by a fire at dusk and enjoying the outside with Cowboy, my dog and a glass of wine. A few plans for the rest of the week . . . I don't know. With house hunting and all the issues around that and moving I am taking it one day, one minute at a time. Here is picture for thought I am sharing. . . 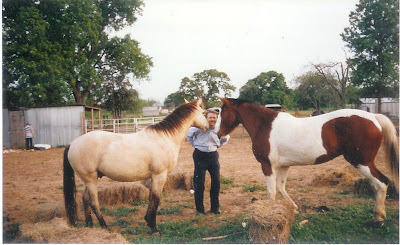 I am sharing this photo because I wanted ask you all to pray for our house situation and for our horse. This is cowboy being silly with them. The one on the right is our paint. His name is Pal. This is a really old photo. He is now 22. In the background you can see our son. The paint was his horse. Anyway we need to find a good home for Pal. We have not been able to find a house that has land so we are forced to find him a home. We want to donate him to a camp near us. We are waiting to hear back from them. If it doesn't work we will be trying to find someone to take him. Please pray we can find him a good home. Thanks for coming by and joining me in planning and thinking about my week. What are your plans? BTW go over to Peggy's and see what everyone else is doing this week. Through all the frustration and struggles of the past few weeks God made himself known to me on Thursday. 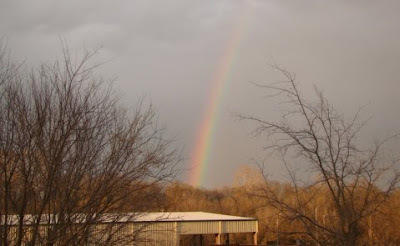 I was amazed to see this beautiful rainbow as I looked out my kitchen window. Today I am sharing I song I stumbled onto while looking for worship music for chapel service tomorrow. I hope you enjoy it. Amy Wyatt is the wonderful hostess of Then Sings My Soul stop over there for more amazing music. God gave me this yesterday. It made me smile. So today I am sharing it with you. Do you need a smile or a reminder that He is still in control? After a really hard day yesterday I came home exhausted physically and mentally. After changing clothes I went into the kitchen and looked out the window and found this beautiful rainbow. I was renewed and over joyed. May your day be filled with rainbows. He makes me smile . . .
Today was a rough day for us. I wrote earlier about our situation with the house and our financial situation. I didn't mention that one of our programs is in jeopardy. Our backpack program is a little different than a 'normal' backpack program. We provide pantry staples as well as food for the children. There are some people in the district that are questioning why we include the pantry items and are suggesting that we provide pantry items through a referral program. Which doesn't work for us because we don't have a location in the school district. Our donated office space and warehouse space is 30 min. from the school. It would make it very difficult to provide this type of program. I was frustrated and bummed out. This along with all the other issues was just getting to me. I told Cowboy I am not willing to fight anymore. I feel like we are constantly in a mode of fighting to stay afloat. Fighting to manage to keep things together. We are supposed to do chapel services Sunday night at our girls facility. Cowboy has $18.00 in his pocket. We will need to get gas. It will take half a tank to there. We got home. I went into the kitchen and this is what I saw! I yelled out Cowboy. . . . "Oh my word you have to come and see this!" "Seriously get in here now and see this! He asked jokingly "What is it a pot of gold." I was dressed in thin pants a sleeves top and slippers. I grab the camera went outside it was chilly and I was cold but I had to get photo's. This rainbow is over our landlords building. When I came in the house I went to call him to go out and see it. We talked for a minute and hung up. 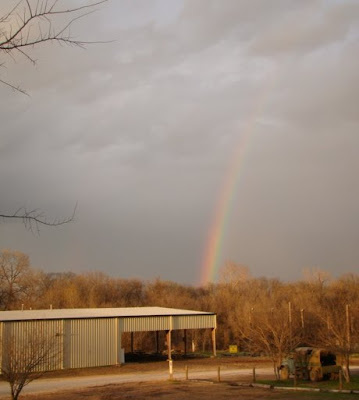 When I went back to the kitchen window the rainbow was gone. My hope is built on nothing less than Jesus blood and righteousness . . . When I sat down to write this post the words to this old hymnn came to my mind. I tried to think of the rest but all I can remember is . . . I am writing this post to ask anyone who stops here to please pray for me and Cowboy and our situation. I have shared that we are looking for a house because the rental we are in has sold. What I haven't shared is how dire our financial situation is. We have two churches that fund is regularly but the amount they give is no where near enough money to live on and do ministry too. Last year we had corporate funding and they approved to fund us this year. But the funding has not come in and everytime we ask they respond that it is in the process. Our time is running out. If we don't receive these funds in the next few days not only will we personally be affected but the ministry as well. If we don't receive this funding we will not be able to pay rent on any kind of house or apartment. Because of the fact we are in ministry and that we are funded by donations it is hard for us to find a landlord that will take the chance on us. That is why the corporate funding is so important. At the moment all I can do is cry to the Savior. Ask the Holy Spirit to speak on our behalf because there are no words left. And, I ask you to stand in the gap for us. Please pray for us. Please pray for our ministry. Please pray that God will provide all that is necessary for us to continue the work. I thought this photo was fun. 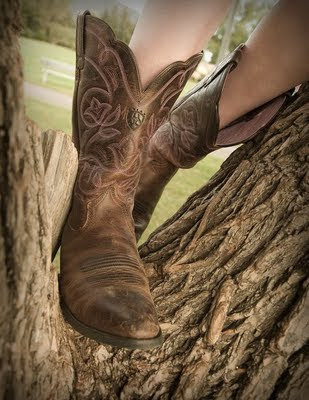 Aren't the boots cute. Today I am thankful for many things. The biggest thing right now is that it is almost Spring and I can do this . . . 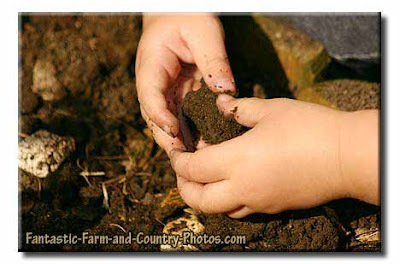 I can't wait for the opportunity to plant a garden with my grandson this spring. He will be 2 soon and he is a great helper already. 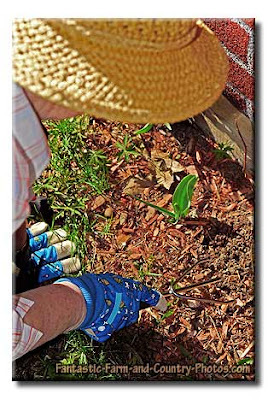 He will love digging in the dirt with his "Gram". Today I am thankful that the sun is shinning. It isn't raining. And it looks like it will be a beautiful today. We are still waiting patiently for God's direction with finding a place to live but while we are waiting we are worshipping Him, we are Serving Him. We are holding on to faith he has a plan. Did you know that you can raise money for your favorite charities simply by shopping at some of your favorite places. This post is here because I was trying to sign up for Mission Fish through Ebay. I needed to download our logo. I didn't have it on my computer on a jpg and so Cowboy emailed it to me. Well it wouldn't let me save it to my photo's. So I out foxed it by posting it here then copying it to my photo's. At least I figured out how to make it work. But I figured I would just leave this up because I think it is great information. Ebay is one place you can shop and sell and a % will be donated to your favorite charity. So when your shopping on Ebay think about your favorite charity. are of him eating. Or waiting to eat! Are you patiently or not so patiently waiting on the Lord today. Just think how sweet it is when you see God's direction clearly. Amy's hostess today is Lori visit her for more illustrations of God's word through photo's. Hope your day is filled with sweet Blessings from God. This is not the type of book that I normally read or even consider purchasing. But since I just began this Journey of reviewing books and Waterbrook Multnomah offered it. I hated to turn down the offer. Let me tell you I am so glad I decided to read this book. From the first chapter I was drawn in. This is a book that I couldn't put down. My apprehension laid in the fantasy genre. My concern was that it was not a book that would be something that would be be in line with Biblical truths. 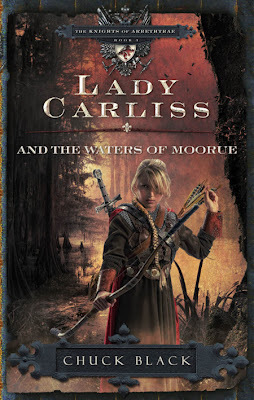 Lady Carlis And The Waters Of Moorue is book 4 in The Knights of Arrethtrae series. The story line parralle's God's plan for mercy and salvation. And causes the reader to stop and think. This book and the others in the series would be excellent for a teen reading group. The book ends with study and discussion questions. Although Lady Carliss is the 4th in the series I had no trouble picking it up and getting into the story without having read the first 3. And, I am so intrigued with the story that I want to go back and read the others. And, well I wonder what happens in the end with Lady Carliss as there is a little romance thrown in as well. This was an easy book to read. I was surprised by a couple of twists and turns in the plot but it wasn't difficult to keep up with the characters or the story line. Here's a brief summary provided by Waterbook Multnomah . . . Determined, smart and a master of both the sword and the bow, Lady Carliss has proven herself as a veteran Knight of the Prince. Returning from a mission of aid, Carliss is plunged into adventure once again as she searches for the marauders responsible for kidnapping a friends’ family. 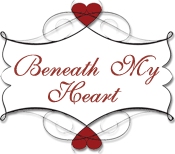 Along the way she is reunited with Sir Dalton and discovers that the struggle in her heart is far from over. When Dalton falls to the vicious attack of a mysterious, poisonous creature, Carliss finds herself in a race against time. As Dalton clings perilously to life, she must find the antidote in the distant and strange city of Moorue . While there, Carliss uncovers the master plot of a powerful Shadow Warrior that will soon overtake the entire Kingdom. Her faith in the Prince and her courage as a knight are tested as she faces evil Shadow Warriors and a swamp full of dreadful creatures. The lives of many, including Dalton ’s, depend on Carliss. But she cannot save them all, for time is running out. She faces an impossible choice: save Dalton , or let him die so that others may live. If your looking for something good to read why I highly suggest going on over to Random House and purchasing it. Here's the link. Still need convincing go here for more info. Good Morning beautiful friends. This morning I woke to sunshine. 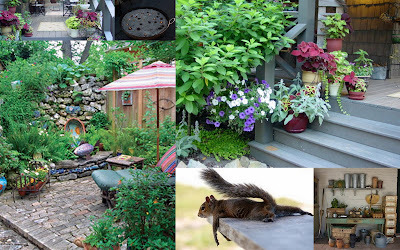 Which means spring so I put together a few springy photo's for you. Spring . . just one of the things I am thankful for today. I seek grace and mercy from you my friends for not writing a post yesterday or even leaving you a photo, smile or hug for your day. I hope that your week started with a great and blessed Monday. Yesterday I was busy with the grandbaby all day. We played, rocked and napped together. Well I laid down till he was sleeping good and then I worked on cleaning up my computer. Today I have lots on my agenda. More packing. Getting down to the wire on finding a house. We have a noon board meeting. Then going to get sacks from the grocery to pack food in for kids. Then coming home to pack. Maybe Cowboy can take down the Christmas lights since it seems sunny and warm today! The thankfulness part is God provided a home for our donkeys! Praise God. We have a lead on a home for the horse too. 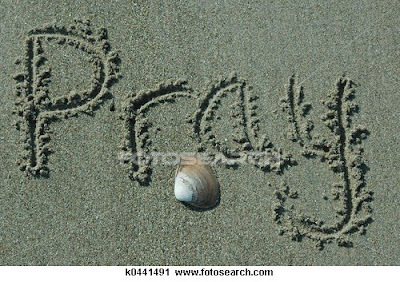 Another prayer request here. Please pray this lead pans out. It is a church camp in our area. He would love living there! Ya'll have a great day. A Happy Day today. My Cowboy is looking for music for Sunday and he keeps playing 'Oh Happy Day'. So today I think we will all have a Happy Day. Today I want to share a song I found yesterday. I hope you enjoy. Our ministry provides a chapel service every Sunday morning at a male youth prison. It is my challenging job to find the music for each service. I am learning a lot about the youth culture. I am learning alot about their music. I am beginning to like some of it. This one is a little tame. But through all the research I have done I have stumbled onto Kirk Franklin. Actually a couple of boys asked me to find some of his music. I am glad I did. I hope your enjoyed listening today. For more great music go and visit Amy. We have exhausted the home search. This is what I felt like last night after the last few days of driving all over our area! We did find a house yesterday we Love. it has everything we want and need. And it has enough room for my mother to move in if she has to. We want her to but she is rebellious! LOL. It is just minutes away from our church. 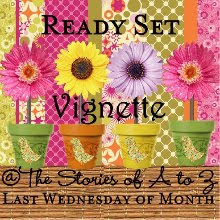 So I could go to Tuesday ladies Bible Study again and we could go on Wednesday nights. We are thinking we could change our chapel service time a little and make it to Sunday School also before we go to do our service. The down side is it is in a neighborhood and so we have to find a home for our horse and two mini donkeys. I put a posting on craigslist last night for the horse. Two people have already emailed. I know we will have tons of people answer but we are praying for the right home for him. I am putting together an application and I will check references and go and see where he will be. This is really scary to me but I know God is in this. Will you guys please pray for our house and pray for our animals too. This is a happy day and I want to leave you with a smile. Hope your Friday is all smiles! Today I am thankful that Spring is slowy coming. I think it is just around the corner. We are off to look at a house this morning. Could it be the one? Please pray for us today. Then we have ministry work to do the rest of the morning. Worshipping and Serving while we're waiting. Today I am sharing the verse before the photo . 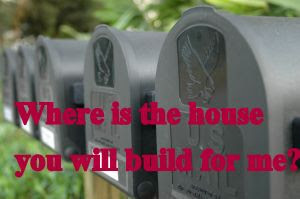 . .
Where is the house you build for me? I want him to have a place in my heart. I want room for God in my heart. In my day. In my minute each minute I want to share with him. No I want to give to him. 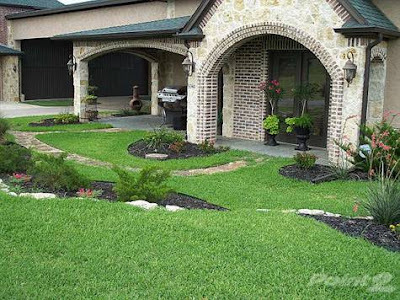 As we are looking for a house I want it to be a house. A home that welcomes God. A home that God is living in. I/We want to invite him in. And so even while we wait to find out next home we invite God in. Into our hearts. Into our day. Into each moment. I really, really need you all to lift me and my Cowboy up. Tonight my head is spinning. We spent the entire day looking for somewhere to live. 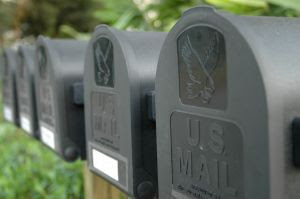 I used this photo because we have only a few short weeks and we have no new address. We found a house today that would accomodate all the animals. It has some nice features. And some not so nice features. Picture a 1980's bathroom. But the kitchen is great and it has two fireplaces. Stalls for the horse and donkeys and a pond. We could take all the animals. The downside is it is so far away from our daughter that I doubt that we would ever see them. This house is easily in our price range. Every other house we have looked at we would have to really, really struggle. We have faith God will provide. But our delima is what is God's will? So we struggle. need to hear God's voice. 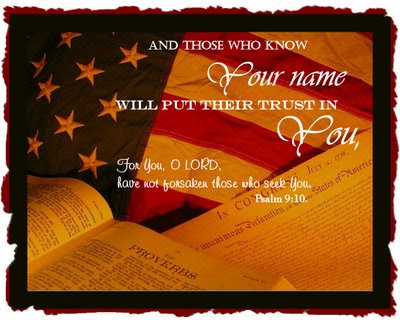 We so need to trust in the Lord. We so need to see clearly the path he has for us. May you be . . . Blessed today . 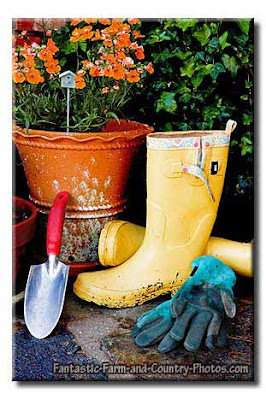 . .
Leaving you with a few of my favorite things. worn boots . 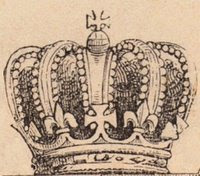 . .
and my little tarnished crown . . .
Have a happy day I am house hunting. When something is lacking . . .